Mike Pompeo, new State Secretary of State. VietPress USA (Mar. 14, 2018): President Dnald Trump via Tweet on March 13, 2018 announced to fir Rex Tillerson from the position of State Secretary of State and nominated Mike Pompeo to replace as new 70th State Secretary of State. At the same time, President Trump appointed Gina Haspel as new Director of CIA who will be the first American lady in this position. 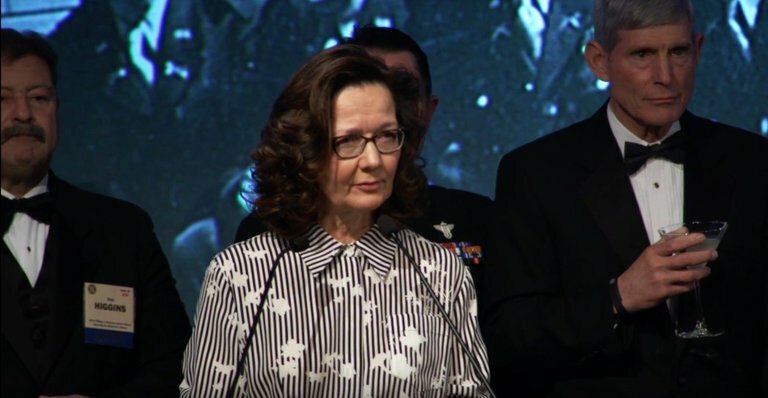 But today on Wednesday, March 14, 2018, Republic Senator Rand Paul of Kentucky state announced that he would oppose both nominees — Mike Pompeo for State Secretary of State; and Gina Haspel for CIA — over their views on waterboarding — which he said "sends a terrible message to the world" — as well as his concerns that Pompeo will advocate for regime change in Iran that could lead to military action. WASHINGTON (AP) — Back in 2017, the Senate gave quick confirmation to President Donald Trump's national security team and his first secretary of state. But it's not likely to go as smoothly for Trump's new nominees to run State and the CIA. Senate Democrats — and some top Republicans — are slow-walking the process amid fresh questions over the Trump administration's stance toward Russia and revived inquiries into the CIA's dark history of torture. "There are a lot of unanswered questions," said Senate Minority Leader Chuck Schumer, D-N.Y.
On Wednesday, Sen. Rand Paul, R-Ky., announced he would oppose both nominees — Mike Pompeo for State and Gina Haspel for CIA — over their views on waterboarding — which he said "sends a terrible message to the world" — as well as his concerns that Pompeo will advocate for regime change in Iran that could lead to military action. "I want to do everything I can to block them," Paul said. "This is a debate that's really worth having." The president's firing of Secretary of State Rex Tillerson touched off a Senate confirmation battle that will play out this spring ahead of midterm elections when control of Congress hangs in balance. By tapping Pompeo to replace Tillerson, the White House is counting on a repeat of Senate support for the former Kansas congressman confirmed last year to lead the clandestine agency. But the political ground has shifted since the 66-32 vote to confirm Pompeo in January 2017 when the GOP-led Congress was eager to put the new president's team in place and Democrats were unwilling to stand in the way. More than a dozen Democrats joined all but one Republican in backing him. Paul was opposed. In the year since, Pompeo has drawn scrutiny for actions and statements showcasing his loyalty to Trump and his approach toward Russia. Last month, Pompeo's meeting with two top Russian spy chiefs drew a chain of questions from Schumer in part because it occurred days before the Trump administration initially decided not to issue new sanctions over Russian interference in the election. 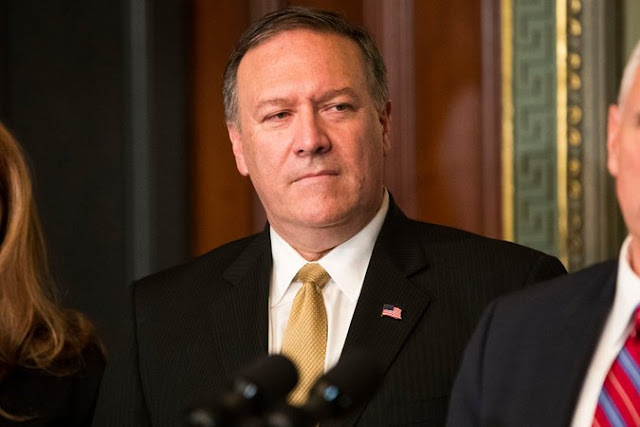 Pompeo also made headlines for meeting with a former intelligence official who has floated the theory that Democratic National Committee's email hack was an inside job rather than Russian interference in the 2016 election as U.S. officials have largely concluded. That meeting was first reported by The Intercept. During one speech Pompeo claimed Russian meddling did not alter the election results, a finding that overstates the U.S. assessment of the interference. "I think he's going to have a tough time here," said Sen. Chris Murphy, D-Conn. "If he's being hired simply to more efficiently destroy the State Department, I think it would be hard to get Democratic votes." At the same time, Sen. John McCain, R-Ariz., made it clear he had plenty of questions for Trump's choice of Haspel to head the CIA over the "nature and extent" of her involvement in the agency's waterboarding of terror suspects. McCain has been among the GOP's most outspoken opponents of waterboarding and harsh interrogation techniques that Congress did away with in 2008 but Trump has said he would consider reviving. As a career intelligence officer, Haspel oversaw a secret CIA prison in Thailand from 2003 to 2005 where top terror suspects were waterboarded, and she later helped carry out an order to destroy waterboarding videos. Although she now serves as CIA deputy director, Haspel has not previously had to undergo Senate confirmation. "Ms. Haspel needs to explain the nature and extent of her involvement in the CIA's interrogation program," McCain said in a statement. "I know the Senate will do its job in examining Ms. Haspel's record as well as her beliefs about torture and her approach to current law." Republicans hope to approve Trump's nominees quickly, with the Foreign Relations Committee scheduling hearings next month for Pompeo and the Senate intelligence committee set to consider Haspel. "Both these nominations seem perfectly well-qualified," Senate Majority Leader Mitch McConnell, R-Ky., said Tuesday. "We hope they'll not be subjected to undue delay." 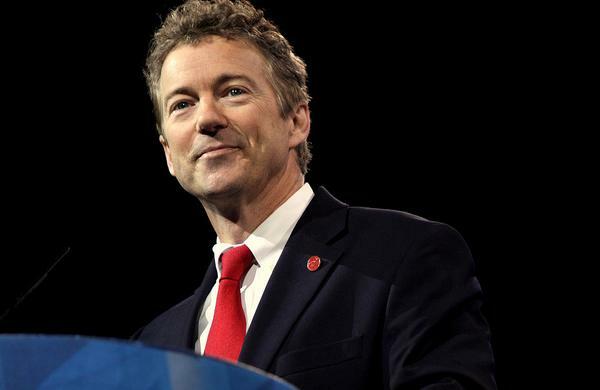 But Paul's opposition is all but certain to make it more likely Republicans will need Democratic support for the confirmations, or rely on Vice President Mike Pence to break a tie. Republicans hold a narrow 51-49 Senate majority. But McCain has been away fighting brain cancer and it's not certain he would be present for the vote. Republican Sen. Pat Roberts acknowledged the confirmation battle could be different from last year when Pompeo — a fellow Kansan — asked for his advice about the job. "I said, 'Well, it'd be a good thing if I don't even see you or hear from you for a year or two," Roberts recalled. The senator expects Pompeo will do well at State because of his military and intelligence background — he was top of his class at West Point. "And, he'll be in sync with the president," Roberts said. "You don't want anybody in the position at odds with the president, as we have seen the last couple of weeks."